Thank You For Reaching Out! We're Here to Help You! 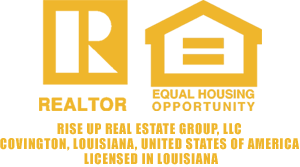 Rise Up Real Estate Group has the knowledge, experience, skills, and ability to help you achieve your real estate goals. Whether you need to sell your house or you want to buy a new home we can help you. If you want a rental property or want a new renovation project to complete, we can help you. Do you need help with something else? Let’s discuss. We have a passion for helping others and we desire to help you achieve your goals. We look forward to working with you. We are grateful for the opportunity. Thank you for your trust. Feel free to call us at 833-4-RISE-UP or 833-474-7387 to discuss your goals and move forward to achieve the results you want!